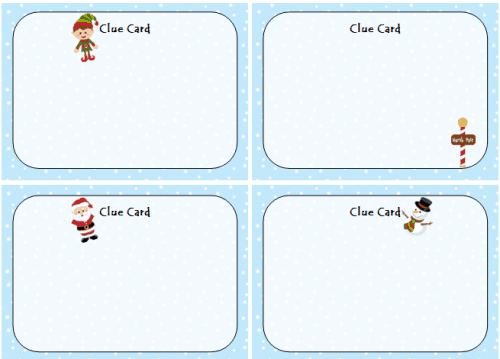 These free printable scavenger hunt clue cards are perfect for creating your own holiday scavenger hunt. You can leave clues around the house for your little ones to discover. On each card, write a clue that will help the players find the next clue. The clues could lead to one grand prize like some holiday cookies or a special letter from Santa. If you’re not so great at writing clues, perhaps you could leave this task up to your Elf on the Shelf. To print your free holiday scavenger hunt clue cards, click the picture above. Leave a clue quoting a line from one of your Christmas movies and leave the next clue hidden inside the movie case. Leave a clue quoting a line from one of your Christmas books and leave the next clue hidden inside the book. A clue could read “You can’t forget these when you are going outside to build a snowman.”. The next clue could be hidden inside winter boots, gloves or perhaps on the carrots in the fridge (because every snowman needs a carrot nose!). A clue could read “If we had a pet penguin, I bet he’d love to sleep in here.”. The next clue could be hidden inside the freezer. A clue could read “We need this ingredient to make Santa some cookies on Christmas Eve.”. The next clue could be hidden on a bag of flour in the pantry. A clue could read “Without this, Santa wouldn’t be able to enter the house.”. The next clue could be hidden on the fireplace or on the front door (depending on the route Santa takes to get into your home). What sort of fun clues will you leave for your kids? 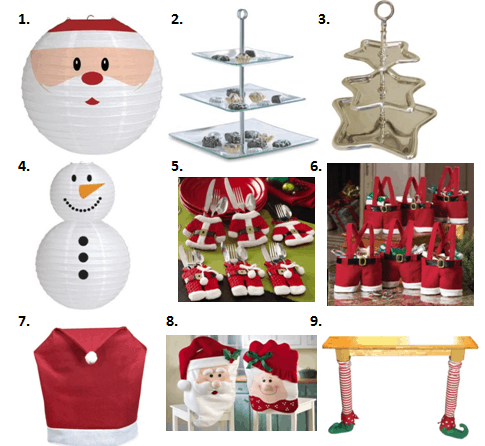 Don’t forget to check out our other fun & free printable Christmas games. Simply visit our Christmas Fun page. We’re always adding new freebies and ideas for family fun. Never miss an update by following along on Facebook, Twitter, Pinterest and Bloglovin’. Wish Wish You a Merry Christmas and a Happy New Year! *Digital paper design and characters by Pixel Paper Prints. These are so cute – and what a great way to fill a snow day! As always, you have the best ideas! We will have to try this one!